1 How does the U614 differ from the other Nautilus Bikes? 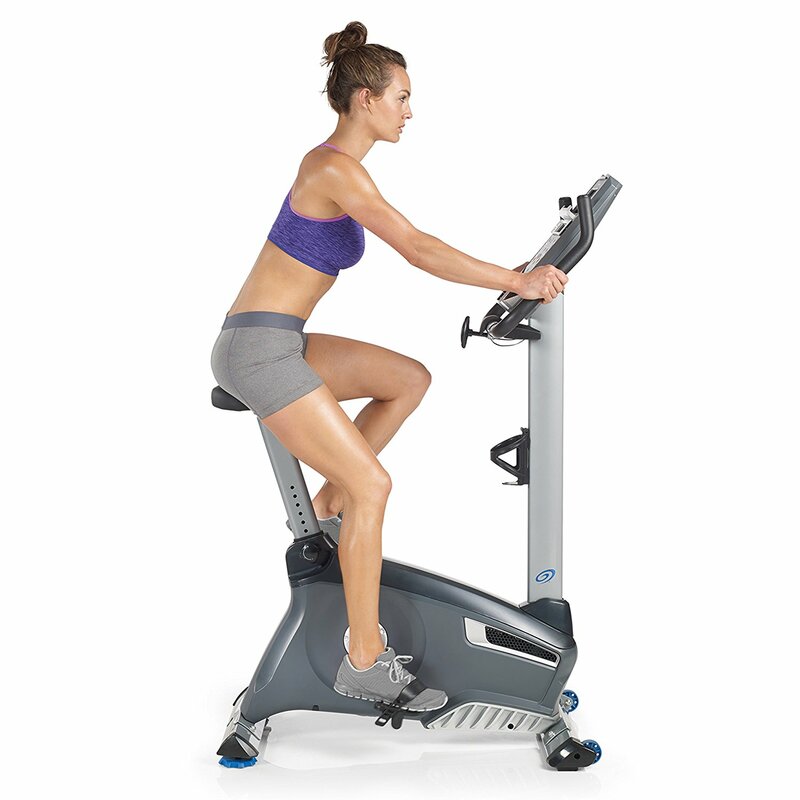 2 Why should I purchase the Nautlius U614 Upright Bike? 5 What are other reviews saying about the U614? How does the U614 differ from the other Nautilus Bikes? The U614 is Nautilus entry model. Released new for this year, it moves on from the 500 series model launched over five years ago. The old range were a highly regarded receiving high praise from customers for its quality and reliability. There is no reason to expect this new model to be any less so. It looks like Nautluus have really thought about what the modern user needs, and we like their new console that includes a split dispaly (to store your tablet) and also a quality speaker . This means you can share your workout instantly on Myfitnesspal. I find this a real motivator to know that friends can see what I have done and what progress I have made. If you enjoy doing intense cardio routines, you would definitely enjoy using this machine. It’s a good entry level fitness product for anyone who wants to spice up his or her routine on a regular basis, and a good upgrade on the old model. More so, it’s great if you want to take your weight loss plans to the next level. Why should I purchase the Nautlius U614 Upright Bike? 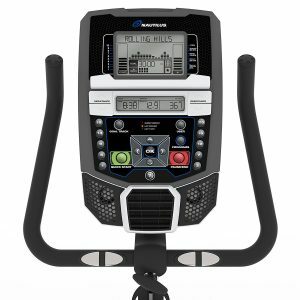 With easy-to-use features, a well-designed console and a very affordable price point, the Nautilus U614 is a great choice for a cycling partner in the home. What are other reviews saying about the U614? Well, with the suite of features and price well under $300 its an attractive offer. If you are looking for a more than just a basic featured entry level bike, and one that is capable pushing you a little more then I would recommend this model. This is a great bike from a hugely popular company. If you want a comfortable bike that will make your workout feel good then the U616 is a great choice. At less than $500 this is a great way to kick start your exercise routines. We think this is one of the best fitness bikes available today. This is a great budget machine. despite the price its whisper quiet to start perfect for small houses or apartments. If have people living under you they will appreciate it, s It is stable, and the seat is comfy, it can even play music Many levels of resistance, with a small footprint. At this price the U614 ticks so many boxes its hard to see why you would choose something else? If your looking for a real bang for the buck I don't think there is anything better out there, you will really like this bike.